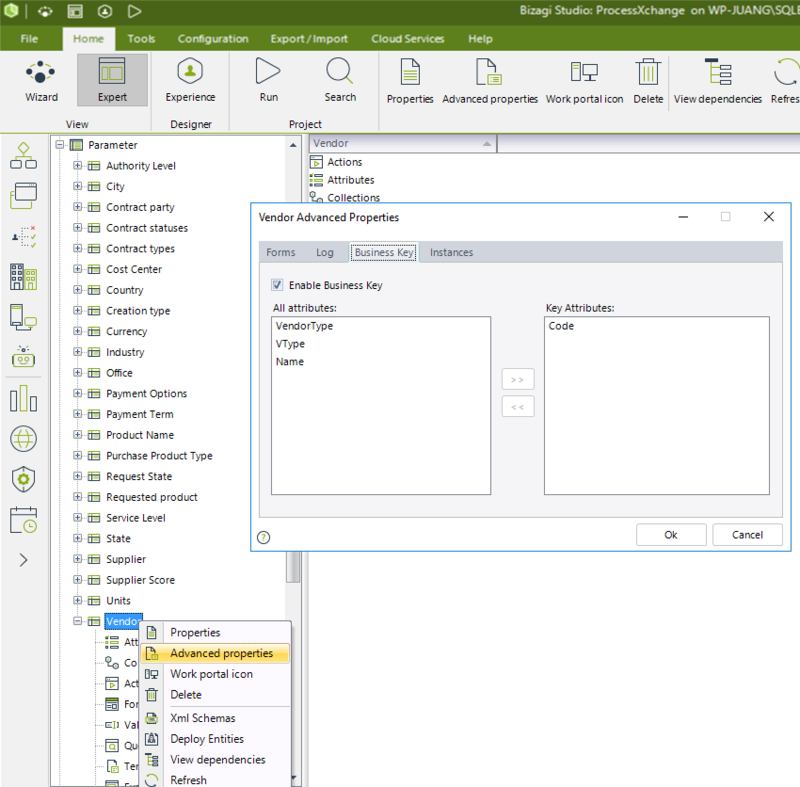 This section illustrates an example on how to use one of the methods featured by this object, the saveEntityAsString method, which is oriented to inserting or updating information directly in entities without having Xpath navigation. This entails that such method's use is optimal when working with Parameter type entities. In the following sample process, assume we have a Parameter entity called Vendor. Such entity has the following records and we would want to add one new record and update an existing one. This means exactly adding Samsung, and updating the name for Cisco to Cisco Systems. 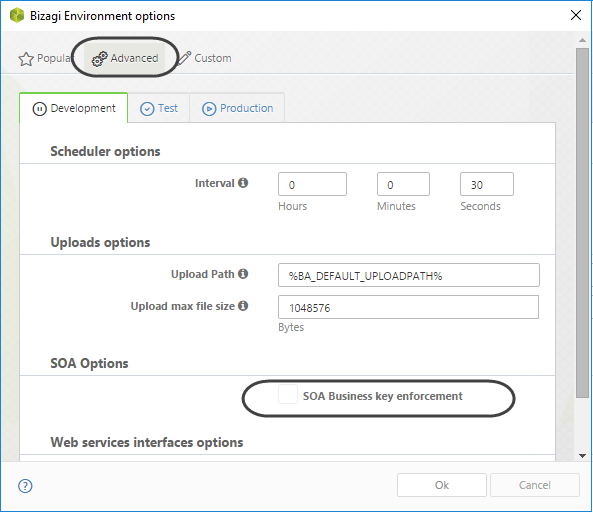 This will make sure that you send out an input which complies to the same one used for the saveEntityAsString SOAP web method (when using Bizagi's web services API). Given that we will be updating one record in this entity, we will need to make sure that business keys definitions are set for that entity. In other words, having defined in Bizagi Studio which attribute or attributes make up a unique constraint for each of the records. 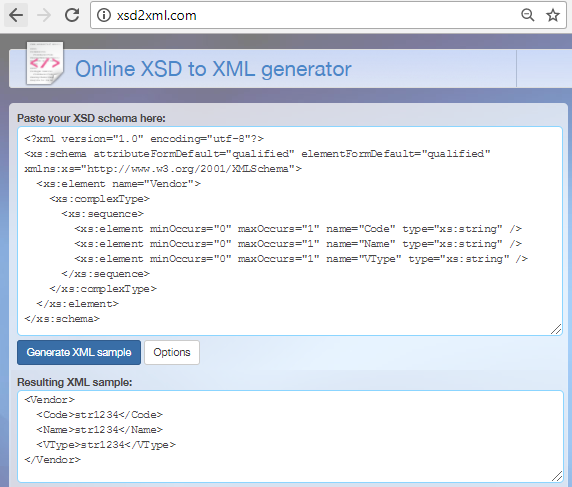 Now in order to save XML-compliant information into a given entity, you may rely on the CEntityXmlHelper.saveEntityAsString method. Notice that because a Vendor with Code V005 already exists and the Code attribute is that entity's definition of its business key, then such record will have its information updated (only what has been sent, which is the Name portion of information).